This tutorial show you how to use Apache HttpClient to create a RESTful Java client to perform “GET” requests to REST service. 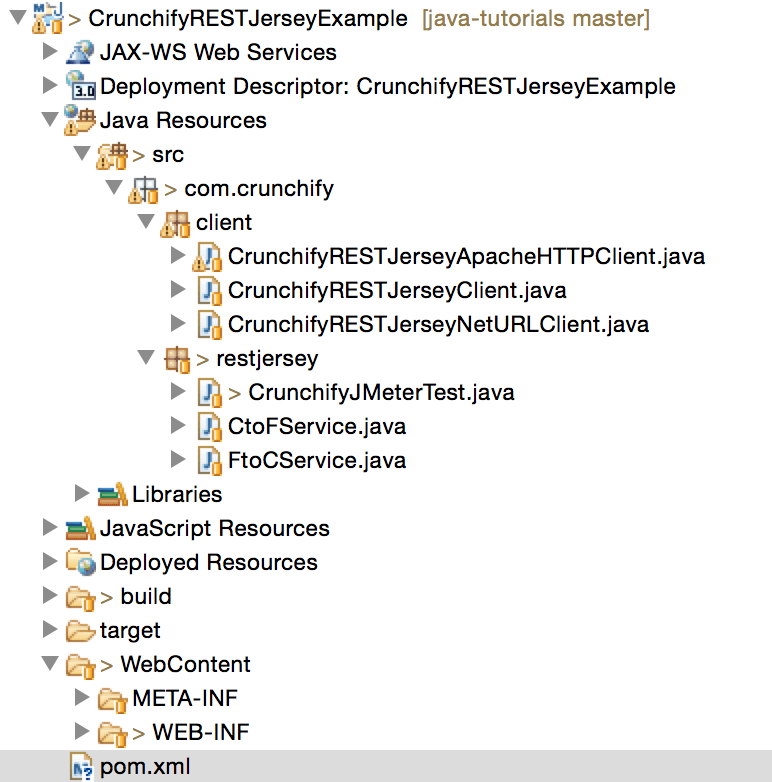 Once deployed, make sure your Web Server Tomcat is running and URL http://localhost:8080/CrunchifyRESTJerseyExample/crunchify/ctofservice/ is accessible. Here are all required Maven Dependencies to run above example and all 3 Clients. // Simply iterate through XML response and show on console.